March 9th, 2018, Helsinki – The co-commissioners of the Nordic Pavilion at the Venice architecture biennale are proud to announce that the Finnish architect Lundén Architecture Company has been chosen to design the Nordic contribution to the 2018 International Architecture Exhibition in Venice. 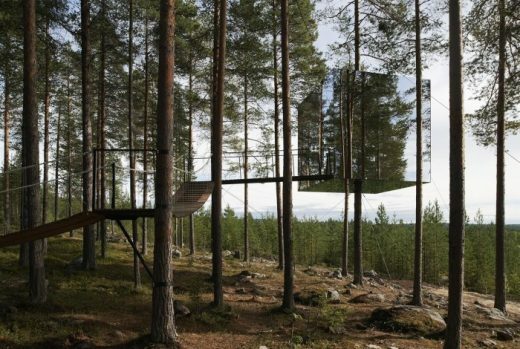 Eero Lundén’s proposal, entitled Another Generosity, explores the relationship between nature and the built environment. The goal is to explore new ways of making buildings that emphasise the delicate but often invisible interactions between the built and natural worlds. The Nordic pavilion, designed by Sverre Fehn in 1962, celebrates nature’s different phenomena: light, sound, materials bringing them together to form a unique architectural experience. 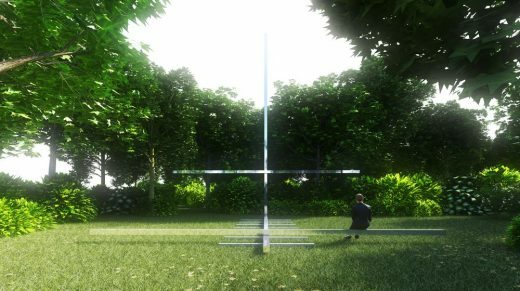 The 2018 installation in the Nordic pavilion will build on the context created by Fehn and ask how we see ourselves in relation to nature today. The project is still in development, but aims to create an immersive experience for visitors and a place for meetings and dialogues throughout the biennale. The project is commissioned jointly by the directors of three museums: Juulia Kauste from the Museum of Finnish Architecture, who is taking the lead this year; Nina Berre from the Norwegian National Museum of Art, Architecture and Design and Kieran Long from ArkDes, the Swedish National Centre for Architecture and Design. The Venice architecture biennale 2018 opens to the public on May 26th, 2018 and closes on November 25th. The International Architecture Exhibition at the Venice biennale is the largest and most important exhibition of architecture in the world. The Nordic pavilion (designed by Sverre Fehn, completed 1962) was built in the biennale gardens as a place where art, and later architecture, from Norway, Sweden and Finland could be displayed at the biennale. 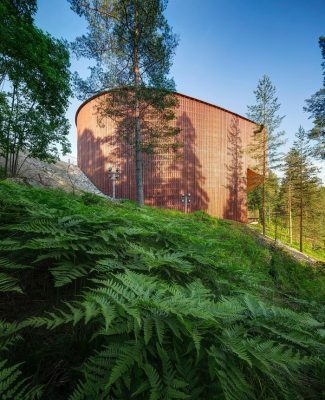 Eero Lundén’s 2018 project will be the first of a reenergised collaboration between the directors of the three museums who are co-commissioners of the pavilion. The biennale has transformed in recent years, moving away from exhibitions representing individual buildings or architects’ bodies of work, towards an engagement with the social, political, environmental and economic forces shaping cities across the world. This can be seen as a generational shift, away from ’starchitects’ and towards a politically engaged, technologically literate and collaborative architectural culture. The three museums have the ambition to make the Nordic Pavilion a platform for compelling research, creativity and polemic in the field of architecture. We also want visitors to the pavilion to experience the most exciting ideas about architecture emerging from the Nordic region. From this year on, each institution will in turn select a single practitioner or team to drive the content of the pavilion. Those could be architects, researchers, curators or others with a special contribution to architectural culture. The three commissioners will support the development of the projects, but will allow the participants to advance their own arguments freely, without curatorial filters. The Nordic Pavilion is a unique collaboration between three great museums, and we are deepening that collaboration in 2018. Over a six-year period, the focus of the Nordic Pavilion will shift from Finland, to Norway, to Sweden, to ensure equal representation of the countries. But the aim of the commissioners is to support the best practitioners to make the best possible work. All three museums will collaborate every year in helping to fund the project, providing curatorial support, and ensuring the Nordic context is part of the participants’ work. This year, the museums will also host research seminars with Eero Lundén’s team in Helsinki, Stockholm and Oslo to that end. 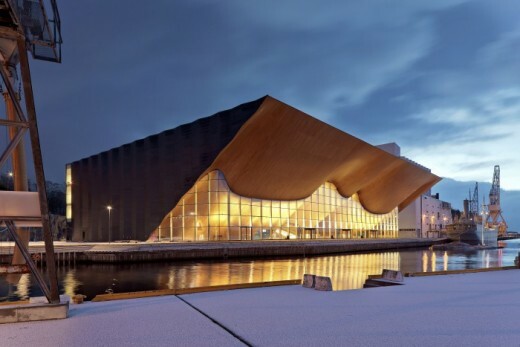 We believe the clarity of this new approach will help practitioners like Eero realise projects in the pavilion that the whole Nordic region can be proud of and that will be memorable for visitors. Eero Lundén was born in Turku, Finland in 1982. 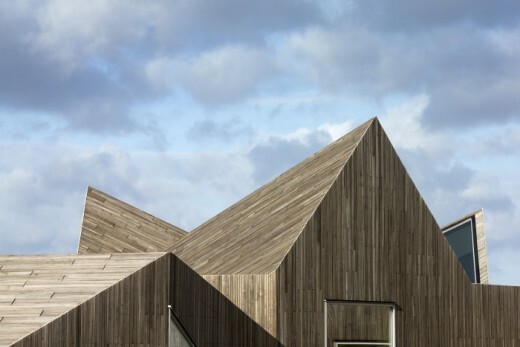 He founded Helsinki-based Lundén Architecture Company in 2008. 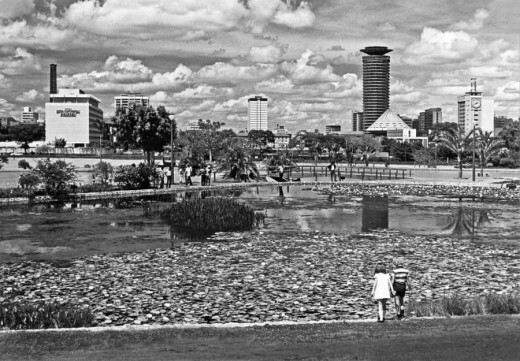 Focusing on the development and innovation of the built environment, architecture and urbanism, the practice engages with contemporary spatial challenges and aims to develop new ideas that envision the future of the built environment. The office’s approach is shaped by the experiences of over 60 projects to date. Their projects range from small 15m2 experimental pavilions, buildings to 300 000m2 master plans. They have a diverse base of clients ranging from public sector parties and institutions to companies and private clients. Their collaborative design approach involves leading experts, architectural offices and consultants from a range of professional fields in different parts of the world: public, private, academic and third sector organizations. 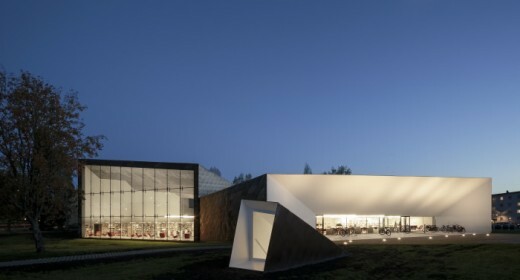 The office has also been successful in competitions, most notably the new Tampere Travel and Service Centre and Pieksämäki Hiekanpää School Campus. Other strategic development projects include the new airport concept, AiRRport and the revitalization of Töölönlahti Bay. At Lundén Architecture Company, the internationally diverse team shares one vision – to produce high-quality and innovative solutions. 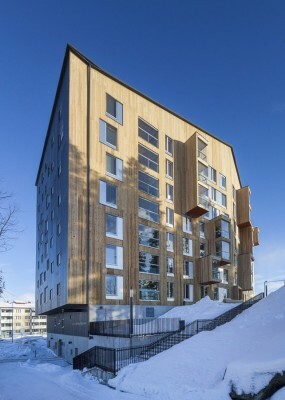 Eero Lundén earned a Master in Advanced Architectural Design from Columbia University, New York after graduating as an architect from Oulu University. He has taught at several universities in Finland as well as abroad. 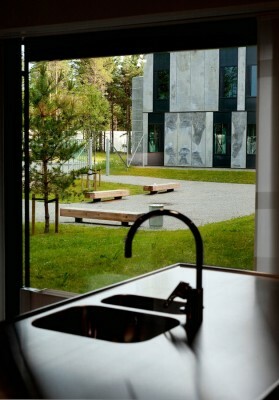 Since 2015, he has been a teacher in the Urban Renewal Studio at Aalto University. In 2012, Eero, together with Toni Österlund, received the Reima Pietilä Award. Eero is a member of the Royal Society of Arts, UK. Located in downtown Helsinki, MFA is the second oldest architecture museum in the world. We collect and distribute information about architecture and its role in modern society. The museum is a center for exhibitions, events and research as well as a forum for discussion focused on tomorrow’s architecture and our shared urban future. MFA has unique knowledge and an inimitable archive to draw upon, proving that our history impacts the present and our legacy influences destiny. ArkDes is the Swedish national centre for architecture and design, located in central Stockholm. The museum holds a large collection of modern Swedish architecture, and is a place of exhibitions, events, research, debate and discussion about architecture and design. ArkDes is also a government authority with a unique mandate to give advice and carry out research on the future of Swedish cities. The National Museum holds, preserves, exhibits, and promotes public knowledge about, Norway’s most extensive collections of art, architecture and design. The main emphasis of the architecture collection is modernism, with particular focus on the inter-war years. A new joint building for the National Museum is planned for opening in 2020 and currently under construction. 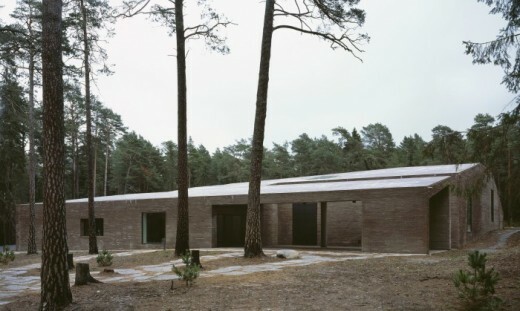 The National Museum – Architecture will continue in its current locations at Bankplassen 3 (Sverre Fehn 2008), though the rest of the National Museum’s collections will be moving to the new museum. Architecture will also be a part of the exhibitions of the new National Museum, opening in 2020. 2016 Nordic Pavilion in Venice: Nine projects to represent Finnish, Norwegian and Swedish architecture. David Basulto, curator of In Therapy: Nordic Countries Face to Face—the Nordic Pavilion exhibition at the 2016 Venice Biennale—has announced that 500 submissions were received following an Open Call. Of these, 300 projects have been selected to form a contemporary survey of Nordic architecture and will form the central body of the show. Nine have been chosen as uniquely representative of the contemporary Nordic scene and will be presented in depth. 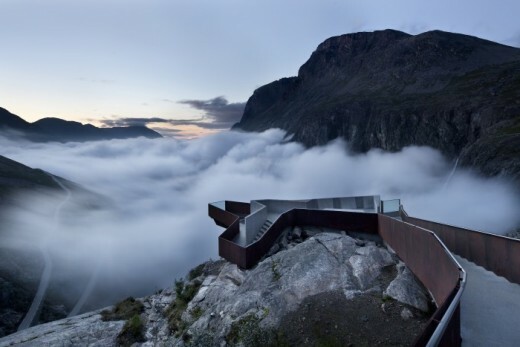 The National Tourist Route Trollstigen, Reiulf Ramstad Architects. Photo: Diephotodesigner.de.